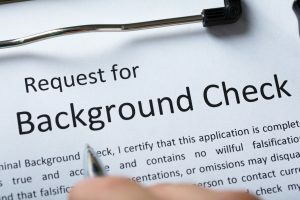 Background checks and the laws surrounding them can sometimes be confusing for employers, as federal, state, and local laws may prohibit the use of certain information or require certain processes when using the information. To make sure that you understand fair hiring practices relating to background checks, read the truth about three common background check myths. Myth #1: Ban-the-box laws prohibit background checks. Thus far, over thirty states and more than 150 cities have adopted policies banning the box in hopes of preventing applicants from being disqualified from a potential job based solely on criminal history. Myth #2: A sufficient background check can be conducted using the Internet. Although it is easy to find information by checking Google or social media sites, it may not be the best way to check out potential applicants. These searches often give you information such as age, race, disability, and more, which are exactly the characteristics that you should not be considering during the hiring process. If your state has a comprehensive criminal database that is publicly available, it is possible that the fine print will prohibit you from using it to research or disqualify job applicants. However, once you have done the research this way, it is impossible to “unlearn” this information when you are assessing applicants, resulting in the neglect of the applicant’s legal rights. Although it is not required, performing background checks through an outside agency can provide protection for your hiring process to help avoid any potential discrimination. Myth #3: Background check results allow for the immediate disqualification of applicants. Under the Fair Credit Reporting Act (FRCA), employers using a third-party credit reporting agency (CRA) to conduct background checks must allow applicants the opportunity to respond to any findings. Although the FRCA specifies a credit reporting agency, in practice, it applies to a wide range of topics, including several aspects of criminal background checks. If you plan to take adverse action by disqualifying an applicant or rescinding a conditional offer based on a CRA’s findings, you must give the applicant notice. There may also be other steps that you need to take to meet federal, state, and local laws. If you do use a CRA, choosing a reputable agency that stays up to date on all laws can help you navigate this process. In addition to these requirements, there are also federal guidelines from the U.S. Equal Employment Opportunity Commission (EEOC) regarding proper use of background check information. The EEOC recommends employers not consider any criminal history that is not directly relevant to the job in question. In the case that there is criminal history to consider, the EEOC expects employers to consider additional factors such as the nature of the offense, how recently it occurred, and any rehabilitation efforts made. Ultimately, conducting fair background checks and using fair hiring practices does not have to be difficult. Ensure that your company’s hiring managers know that they should not look for information on their own, apply your policies consistently, and enforce the rules fairly. By following these principles, each party benefits, as applicants receive a fair assessment and employers select the best people for the job.